Efficiency? Nah, don't care for it. I’ve seen this wagon around town multiple times, always with this ungainly (but color matched!) box on top. I can’t imagine that it’s aerodynamic. There’s got to be a better one out there. There was nothing in the truck. Edit: Comments point out it’s probably for a wheel chair hoist! Neat! 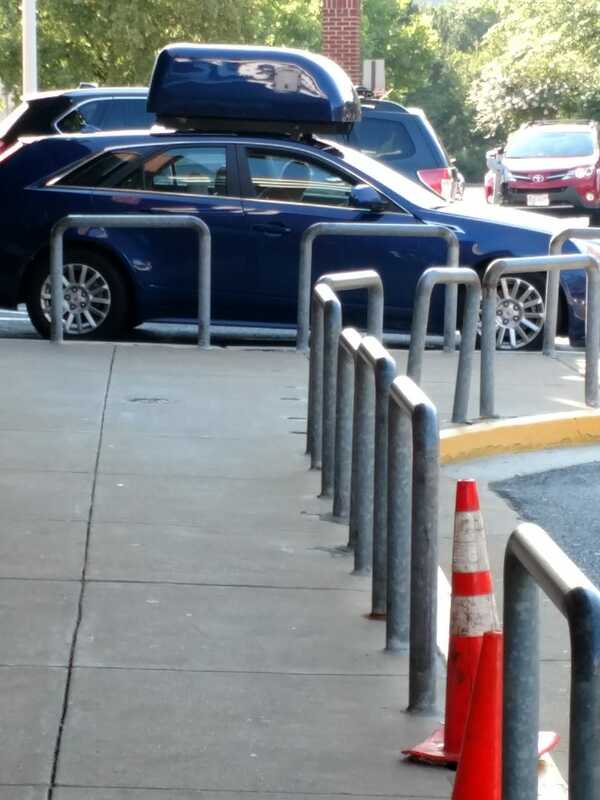 Instead of a minivan, this guy got a blue wagon and a wheelchair crane. Good choice.